Spaghetti Egg Pie is one of delicious and tasty pie that is combination of spaghetti, eggs, cheese and veges. This is my competition winning recipe. Must try it, it is perfect to serve in Hi Tea or as snack. 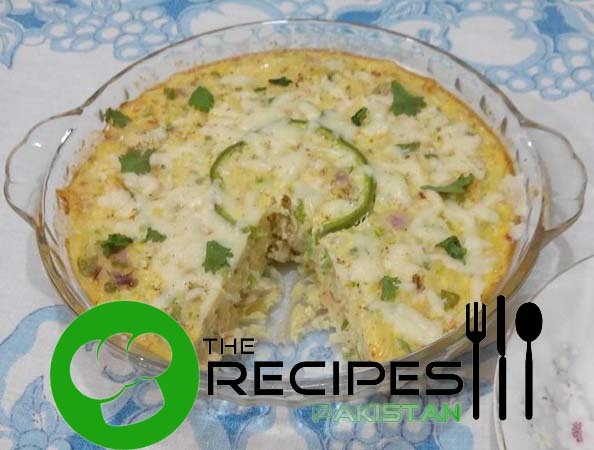 Whisk the eggs then add milk followed by salt, crushed red chili, green chilies, capsicum, onion, cheese, chicken, and spaghetti. Mix everything nicely. Pour mixture in a heat proof glass dish and bake for 15-20 minutes at 185 degree C.